On 4 May CEPI was invited to attend a conference organized by Ms Karima Delli, MEP, Greens/EFA and Vice-president of the Urban Intergroup on the subject of "financing energy efficiency in housing: a European priority. 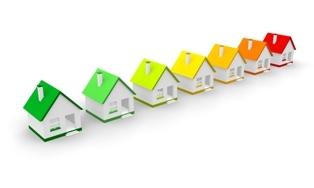 Much has been done to put in place legislation concerning the energy efficiency of buildings. The success of that legislation and uptake of energy saving measures now depends on finding effective ways of financing the work to be done. CEPI welcomes confirmation that this is now a priority for MEPS. Speakers at the conference presented what is at stake now in the financing of energy-efficient housing refurbishment. Examples were given of different ways of providing a financial structure for refurbishment from countries including Estonia and Germany. A representative of the European Investment Bank also presented the opportunities which now exist for loans to make energy efficient improvements. We can look forward to new initiatives in support of EU objectives in this area. Issues remain concerning the profitability of energy efficient investments, the additional costs involved in building to high energy efficiency standards, and "market failures" such as limited information on the possibilities, split incentives in the case of rented property and high transaction costs. On behalf of DG Regional Policy Director Rudolf Niessler emphasized the importance of making good use of EU structural funds. It is now possible to use 4% of the European Regional Development Funds for energy efficiency in housing. Work will be done to provide incentives to take up these measures. It is important to change consumer demand so that people want and are encouraged to have work done. Private initiatives are also important as demonstrated by the German example presented on behalf of KFW Bank. It is estimated that there are 39 million housing units in Germany, 79% of which were built before 1979, with potential to renovate 20 million housing units. Since the programme started in 2001, KFW Bank has issued 450.000 loans representing approximately 24 billion euros. These loans have been made available to a wide range of applicants for a combination of energy efficient and general modernization refurbishment, offering 100% financing at attractive interest rates. The conclusion was that innovative ways have to be encouraged to develop both private and public initiatives to finance the work that needs to be done to improve the energy efficiency of Europe's building stock. This area will clearly continue to develop.